Connecting with your True Self? 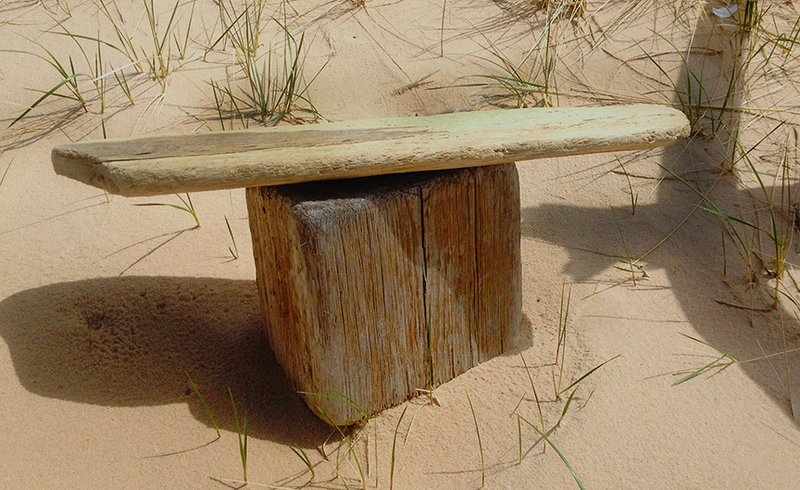 Finding balance, wholeness, and peace in your daily life? Spirituality—the connection with the Divine Force that's present in the universe—offers us the natural pathway. It's how we're hard-wired as human beings to fully experience life and love. I'm convinced that God can be known, that we can connect with our deepest self, and even hear the Voice with which God speaks to you and me. Transform into the person you were created to be. Just like going to the gym to keep physically fit, it takes soul work to keep spiritually fit. And the best way I've learned to exercise my soul's muscle is to sit in the Quiet each day for 20-30 minutes or longer and be still. From that place of stillness I look at God. God looks at me, and we are very happy. Below are links to other practical tools I've discovered along life's pathway and I'd like to invite you to discover some of them too as you seek wholeness, balance, and inner peace. And maybe as we walk alongside each other, we can learn from each other and from other people God places on our paths so we can continue to gain deeper wisdom, understanding and wholeness. We read spiritual books and articles because we're looking for deeper understanding. Wisdom. And ​writers write, not because they have answers, but because they too have questions, and are willing to wrestle out loud on the page in search of those answers. What I write about typically comes from my own experience, from the questions that rise up in me as I live daily life as a husband, father, spiritual mentor, and lawyer. I usually take those questions into the Quiet---those daily times at 4:30 a.m. when God, my dog Riley,and I sit and sip a cup of coffee and greet the day. I listen. I wait. Sometimes I hear God's whisper in my heart offering me the answers to the questions that roll around my brain. Other times, it just feels good to be still and know God is present even if I can't touch or see him face-to-face. Each of us has an artistic gift we've been given by the Creator that connects us with God, ourself, and others. And when we use our creative gifts, the Spirit flows within and through us. We become awake. Alive! We find purpose. Someone told me a long time ago that we are the Divine's Beloved and that something good and noble seeks its expression through us. Bit-by-bit I'm coming to live into that truth, and I hope you find some words on these pages and the books and reflections I write to live into your Truth too. Thanks for taking the time to stop by and read some of the things God's teaching me as I age. If you feel a desire to go deeper in your Inner Journey, feel free to sign up for the weekly email reflection I send out each Monday or checkout these books and put 'em in your spiritual toolbox to help you experience, evolve, and transform. Each of us needs a guide, a teacher, someone who can blow the dust from our eyes so we can gain deeper clarity, understanding, give us a road map to this thing called life. We had lots of teachers when we were growing up. But somehow, when we walked out the doors of high school or college for the last time, they forgot to tell us it's important to find a new teacher or guide to continue to inspire us, nudge us to grow, and give us deeper insight. A spiritual teacher's role is different from a school teacher The goal of a spiritual mentor is not to transmit understanding or knowledge, but instead to nurture an awakening within ourselves so we can discover the truth that already lies within us and that's guiding us like an inner compass. The spiritual teacher points to the Divine within us. They blow the dust from our eyes as we learn how to listen to the Spirit of Love within our hearts. We are all in some way each other's teachers. We gain knowledge and wisdom along life's path, and then share it with others. Some thirty years ago, a wise friend of mine invited me to try spiritual direction. I laughed at her at first, saying, "Ya right. Where do you find one of those----in the yellow pages under crystal ball dealers?" But, despite my doubts, I followed her nudge and have been meeting monthly with my own spiritual director every since then. I even become a certified spiritual director myself through three years of classes and training. And I'm a member of Spiritual Directors International, the organization that offers spiritual direction and training world-wide. I guess I found something much better than a crystal ball dealer. Take a look at individual or group spiritual direction pages on my website or check out some of the talks, workshops, and retreats and hear your Spirit whisper: Grow!